Mailing letters, Priority Mail, Priority Mail Express, International Mail, postage stamps; you name it, we provide it at Ship-N-Go. Safe, secure and reliable private mailbox rentals with a street address (not a P. O. Box number), mail and package receiving, mail forwarding and more. Great for business and privacy. Ship-N-Go offers the highest quality of Digital Fingerprinting work at the lowest prices in the Fort Myers, FL. area and we stand behind our experience and attention to detail. Ship-N-Go offers Professional notary public services in Fort Myers, Florida. Our licensed professional notary public services make life easier. Stop by today for licensed professional notary services that fit your schedule. Ship-N-Go located at 16960 Alico Mission Way Ste.102, Fort Myers FL is the go-to resource for packing, shipping, printing and business service needs of the residents and businesses of Fort Myers, FL. Our team of dedicated, professionally trained experts understands the meaning of Super-Star Customer Care—we focus on saving you time and money by ensuring you get the right products and services at the right price—in a single, quick visit. We can pack and ship [almost] anything to [almost] anywhere in the world, but shipping is only one way we can help to make your life easier. Ship-N-Go is a one-stop-shop for dozens of business products and services that will allow you to do what you’re good at while we take care of the “other stuff” you need to succeed. 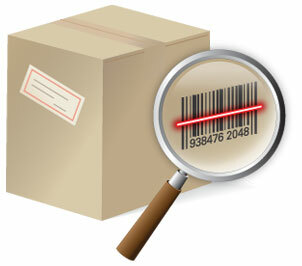 Track your shipments here. Simply enter the shipment tracking number to receive up-to-date status and delivery confirmation for your valuable and time-sensitive letters and packages. Our system tracks all packages sent via FedEx, UPS, USPS, DHL, and LSO —easy, fast, and accurately.